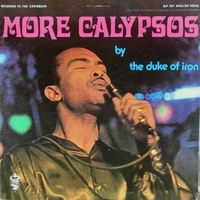 The Word: There is no better calypsonian on record than the Duke of Iron, brother of the similarly illustrious Count of Monte Cristo. 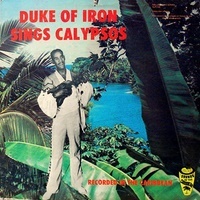 Son of a famous calypsonian who did not get to record in the hi-fi age, Duke of Iron both carried on the traditional calypso (the stuff of prized rare 78s) and paved the way for all modern calypso, particularly the second great modernizer and popularizer, the Mighty Sparrow. 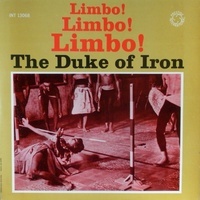 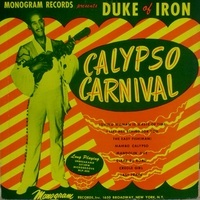 The Duke's definitive version of "The Big Bamboo" stands as the "Louie, Louie" of calypso. 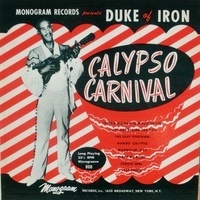 Be sure to see calypso compilation LPs for great various-artist LPs --on Monogram and other labels-- that feature "The Big Bamboo" and other Duke of Iron classics. 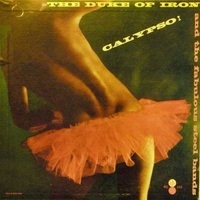 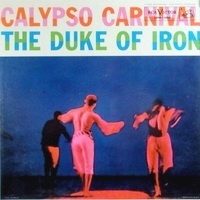 Duke of Iron: Calypso Carnival; Monogram 842; deep groove E/E- $40 -- the great calypso label, the prime format, the greatest calypsonian! 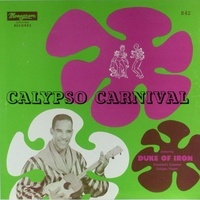 ; repeats only 2 of the cuts from the even rarer 10" LP (so you need both); Big Bamboo, Naughty Fly, Undercover Man, Coldest Woman, Lost Watch, Creole Girl, Last Train, Music Teacher, Man Smart..